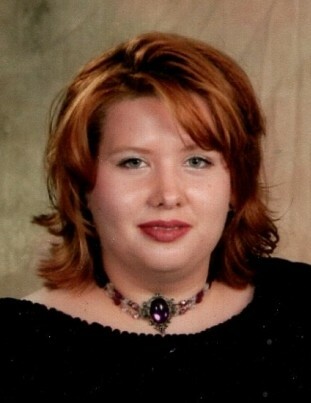 Amanda Ruth Blanton 37, of Fayetteville passed away at her home on Sunday, March 31, 2019. Amanda was born February 19, 1981 in Cumberland County to Ronnie Blanton and Phyllis Warren. She was employed with the Highland Learning Center where she devoted her life to the children and staff. Funeral services will be held Monday, April 8, 2019 at 11 a.m. at Highland Presbyterian Church with the Rev. Chip Stapleton officiating. Burial will be held at 3 p.m. at the Holly Hill Cemetery in Thomasville, NC. Amanda is now reunited with her mother, Phyllis Blanton who went to be with the Lord in 2008, and brother Timothy Rhodes. She is survived by her sister, Jaime Marie Osborne and husband Cliff of Erie, PA; brother, Charles Rutherford, II of Charleston, SC and Truitt Rhodes of Louisville, KY; uncles, Norris Warren of Thomasville, NC. and Sherwin Warren of Lexington, NC; aunt, Donna Wylde and husband, Ed of Lexington, NC. In lieu of flowers, please make a donation to the Highland Learning Center, 111 Highland Ave. Fayetteville, NC 28305 for the friends and children she loved.